When the surgery does not provide the service in-house, the doctors and nurses will refer patients for community services. The baby clinic is held on a Wednesday afternoon between 1pm and 3pm at 60 Patmos road, SW9 6AF (Tel: 020 3049 6437). The clinic runs according to a first come, first serve basis. This clinic is for weighing and advice; regrettably, sick babies cannot be seen in this clinic. The District Nurses visit our patients in their homes when they are housebound and unable to come to the surgery for treatment such as taking bloods, changing of catheters, giving B12 injections, dressings etc. MECS is a NHS funded service for all that are registered with a GP within Lambeth and Lewisham. If you have a sudden concern with the health of your eyes or if your GP advises you to attend – you may be entitled to an appointment with a specifically accredited optometrist. These community based practices offer ease of access to highly trained health professionals with specialized equipment, with the aim of helping to manage your eye complaint. Pre-appointment Advice - Please bring a list of your current medication, your spectacles and contact lenses with case and solution (if applicable) to the appointment. You may need to have eye drops instilled as part of the examination that temporarily affects your vision. Please do not drive to the appointment. Data Protection - In order to evaluate the effectiveness of this service, some non-identifiable data, such as age, ethnic origin, the type of eye problem and how the optometrist dealt with it, is collected for review. Your personal data such as your name, date of birth or address will not be collected. Lambeth Branch of Cruse Bereavement Care is now able to provide the local community with one-to-one support. Information and advice is available to bereaved people, who are invited to contact the branch at any time along the bereavement journey - however, wherever and whenever their loved one died. Lambeth Talking Therapies Service is part of the Improving Access to Psychological Therapies service (IAPT). The service is available to anyone 18 years and older who lives in Lambeth or is registered with a Lambeth GP. They offer talking therapies for people experiencing mild to moderate depression, general anxiety and worry, panic attacks, social anxiety, traumatic memories and obsessive compulsive disorder. They also offer help with other problems including anger, eating, and relationship or sexual difficulties. They offer appointments at many GP surgeries and clinics across the borough of Lambeth. If their service isn't right for you, they will suggest alternatives that are more likely to meet your needs and put you in contact with an appropriate service. Again, you can self-refer to the service or a doctor or nurse will refer you. Ask a doctor or nurse for further information. Would you like to self refer? We have an in house chiropodist every Monday bookable by appointment. The community podiatry (foot health) clinics offer a range of services to assess, treat and advise patients on any foot condition. Podiatrists (healthcare professionals trained in all aspects of care for the feet and lower limbs, including the most common foot problems) provide expertise in preventing and treating disorders of the foot and ankle. You must be registered with a GP in Lambeth or Southwark to access this service. reduce the risk of ulceration and amputation. Treatment is provided through individual care plans and carried out in community health clinics. You can also refer yourself to your nearest urgent clinic if you encounter an urgent foot problem. Please note: nail cutting and hard skin, corn and callus removals are not carried out at the emergency clinics. The urgent clinic is a non bookable clinic and patients are treated on a first come first served basis. Unfortunately during busy periods there may be a significant wait. If you require any vaccinations relating to foreign travel you need to make an appointment with the practice travel nurse to discuss your travel arrangements. This will include which countries and areas within countries that you are visiting to determine what vaccinations are required. Our Nurse Michelle Weston, will see you for your asthma review. We encourage everyone with asthma to attend once a year to make sure they are on the best treatment and using it properly. If you are asthmatic and haven't been to our asthma clinic please make an appointment at reception. If you have been diagnosed with CHD you will automatically go onto our database and will be contacted to arrange an annual review appointment in the Heart Clinic. Please ask our receptionist for an appointment if you think you need a full review. In this clinic patients are given all the relevant tests they need and can discuss what they can do to reduce their risks. A full medication review is done. For people who smoke a referral to our STOP SMOKING CLINIC can be arranged. For people who are 65 and over, we would suggest a yearly health check-up. Please ask reception for an appointment. Please remember, you're also advised to have your yearly Flu Jab and one off Pneumonia Vaccine. We run a cervix smear clinic every Wednesday evening 6-7pm. But any other appointments wih our nurses are available for cervix smear. The practice nurse or doctor will take a sample from the cervix (the neck of the womb) by gently rotating a brush over it. This sample is mixed into a preservative fluid and sent to the Hospital cytology Lab for analysis. You will be invited for a smear test according to national guidelines i.e. every three years from age 25. Your Doctor, Nurse and Health Visitor will be happy to provide advice on any aspect of child health. The immunization clinic and the childhood surveillance are both available by appointment. We provide a child health surveillance service working alongside the local health visitors and school nurses. Routine examinations are done at 6 weeks. 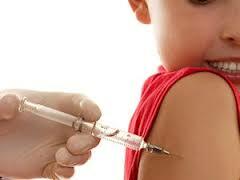 All childhood immunisations are performed at the surgery (except for TB). If you believe you may need an appointment with our Chiropodist, you will need to see your Doctor first. Please ask our reception staff for more details. We provide a range of contraceptive services, including provision of free condoms, contraception and emergency contraception (morning after pill). We have a monthly clinic with A Dr.
All our diabetics have annual checks by our Diabetic Nurse (Diabetic Clinic on Tuesday from 8:30 am - 12:30 pm) and our chiropodist who does foot check's Heather Russell. We offer NHS complementary therapy every other Friday afternoon from 4pm to 6pm. Dr O'Flynn is fully qualified for Acupuncture and Homeotherapy which could be useful in combating all sorts of debilitating conditions including arthritis, rheumatism, migraines, bronchitis and depression. Dr Savan is skilled and enthusiastic about performing Minor Surgery. By doing the surgery here in the practice we reduce significantly the wait for some of these procedures. We are able to perform a number of minor operations at the surgery, for example: injecting joints, treatment of warts and some other skin problems by freezing with liquid nitrogen. 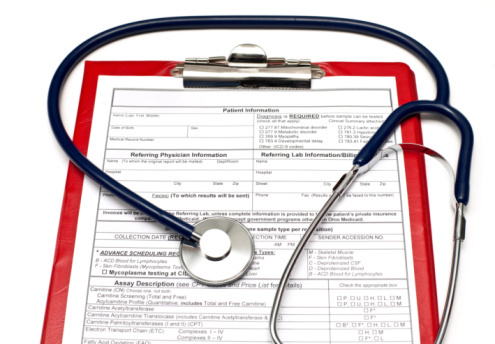 Your doctor will make an initial assessment in a normal surgery appointment. You will normally need to return on another occasion for the treatment, to allow for time and preparation. All referrals for either psychology or counselling are made via self referral on telephone number: 02032286747 and/or Leaflet can be collected from reception. Would You Like to Stop Smoking ? Your practice has been awarded a "Young Person Friendly Award"
The consultation will be confidential but in some circumstances, if we feel the young person may be at risk or in danger, we may have to break that confidence but will inform the young person what we are doing and who we need to tell. The National Health Service provides most health care to most people free of charge, but there are exceptions: prescription charges have existed since 1951 and there are a number of other services for which fees are charged. Sometimes the charge is made to cover some of the cost of treatment, for example, dental fees; in other cases, it is because the service is not covered by the NHS, for example, providing copies of health records or producing medical reports for insurance companies. The BMA suggests fees that GPs may charge their patients for non-NHS work (ie work not covered under their contract with the NHS) in order to help GPs set their own professional fees. However, the fees suggested by the BMA are intended for guidance only; they are not recommendations and a doctor is not obliged to charge the rates we suggest. Where the main purpose of a medical service is the ’protection, maintenance or restoration of the health of an individual’ then that service should continue to be exempt from VAT. All heath care provided either through the NHS, or the private sector, is therefore not subject to VAT. The BMA recommends that GPs tell patients in advance if they will be charged, and what the fee will be. It is up to individual doctors to decide how much they will charge, but the BMA produces lists of suggested fees which many doctors use. Surgeries often have lists of fees on the waiting room wall based on these suggested fees. Do not make an appointment to have your forms completed. You will need to hand your forms in to reception who will pass them on to the Administrator. The Administrator will contact you prior to any work being completed to ensure you are aware and agree the cost. We have a platform lift for patients that need to be seen by a clinician on the 1st Floor.